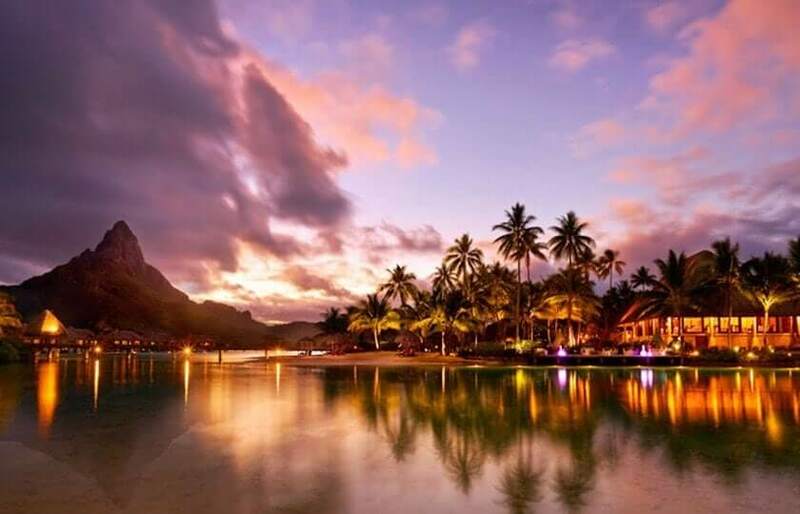 Travel ideas to customize your stay in Polynesia and discover a world that goes beyond dreams landscapes. No Limit < 3000 USD / pers. < 4000 USD / pers. < 5000 USD / pers. 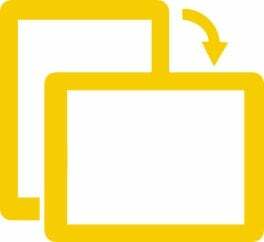 < 8000 USD / pers. < 11000 USD / pers. 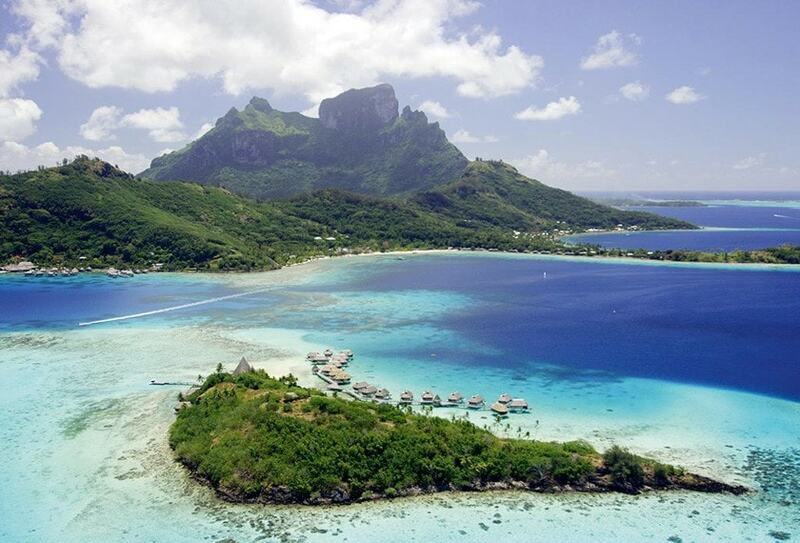 Get a taste of French Polynesia and visit the most popular islands - Tahiti, Moorea and Bora Bora. 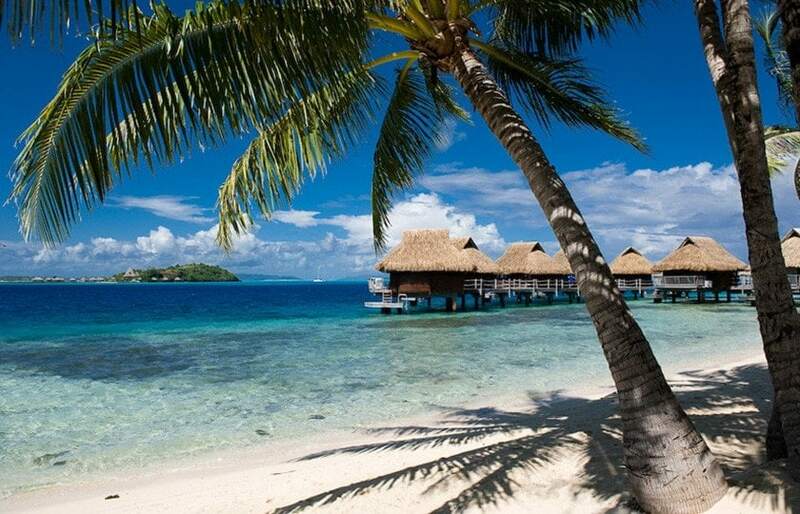 Sample Tahiti's most popular islands. 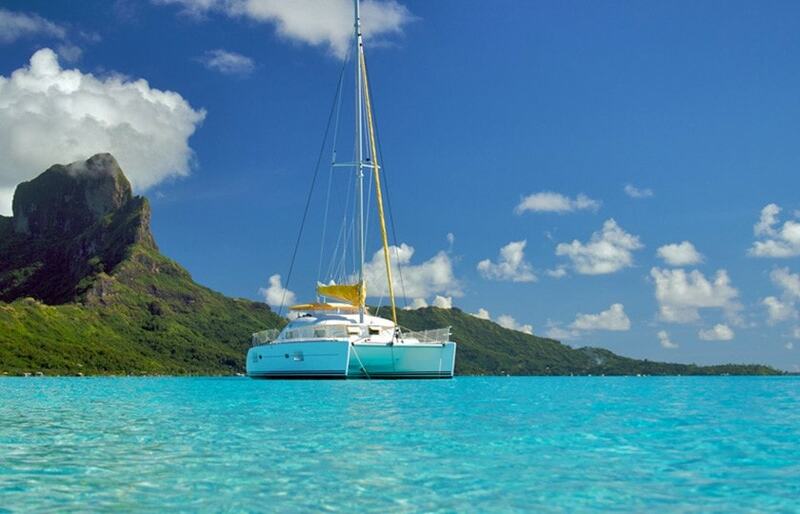 Spend 3 nights in Bora Bora, followed by 3 nights on Moorea Island and 1 night in Tahiti. 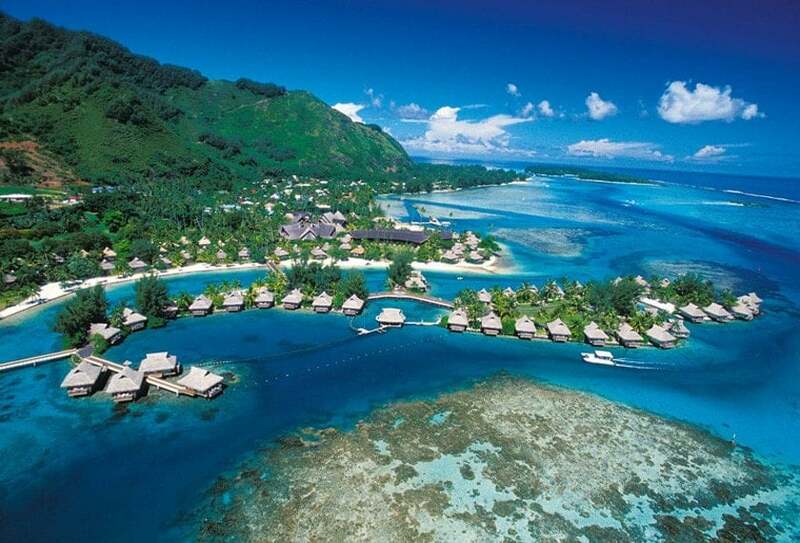 Enjoy Moorea island tour and dinner at the famous Bloody Mary's restaurant in Bora Bora. Enhance your vacation with a couple's massage and / or romantic dinner. 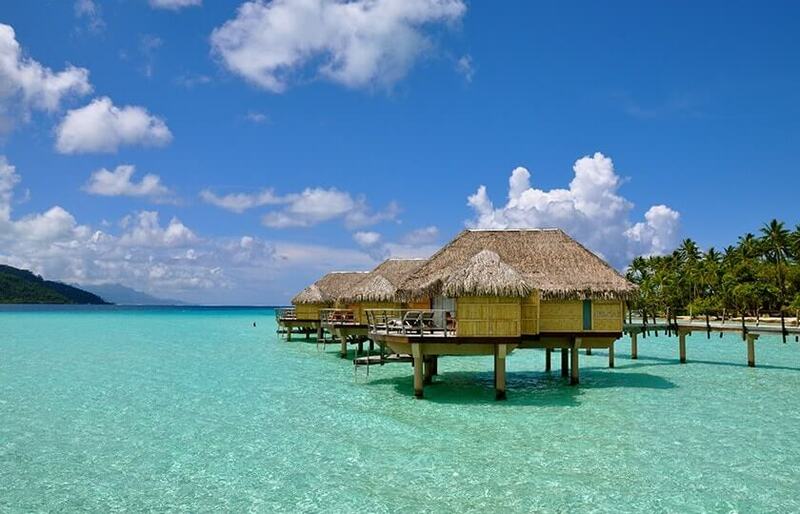 Enjoy 5 romantic nights in Overwater Bungalow at the Sofitel Private Island Resort Bora Bora's fabled lagoon with breakfast and dinner included for an unbeatable value. 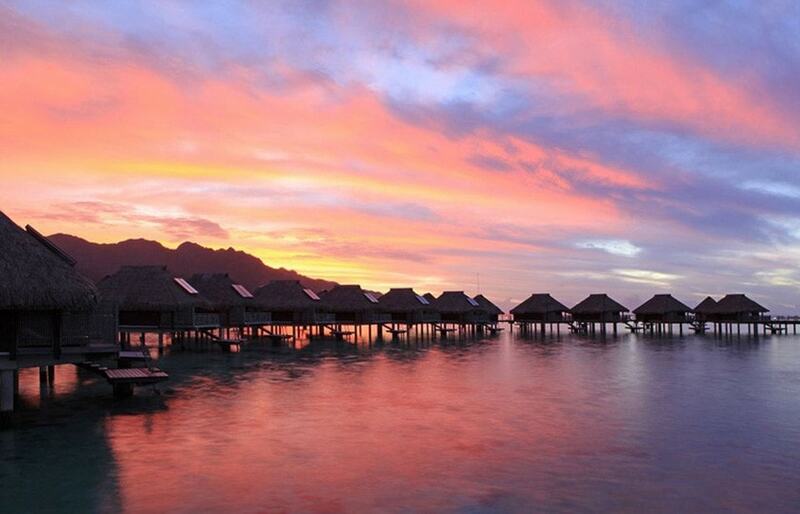 An idyllic 8-night getaway with romantic accommodations at Sofitel Moorea and Sofitel Bora Bora Private Island Resorts. 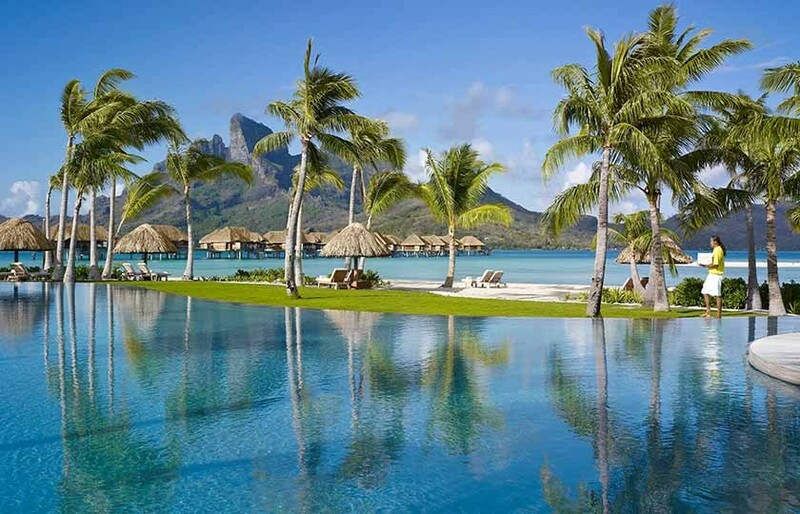 Experience two of the Bora Bora's most popular resorts - Intercontinental Le Moana and Thalasso . 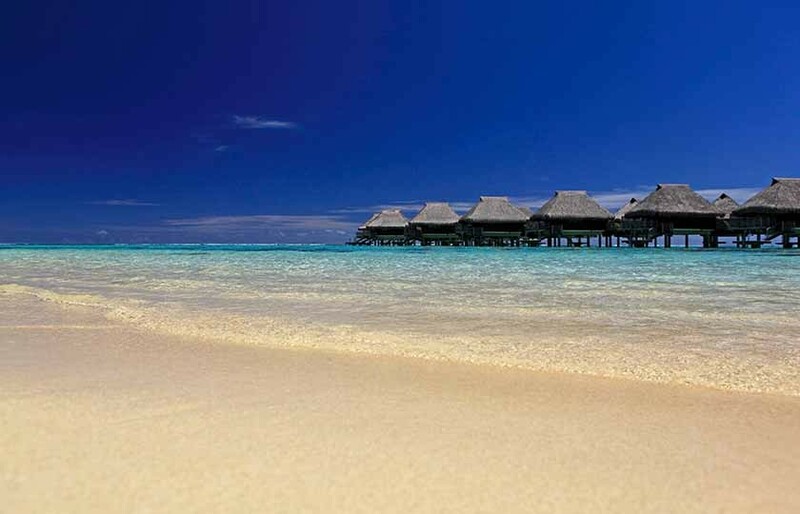 Enjoy the beach at the Le Moana Resort, then spend 3 nights in an overwater bungalow at the luxurious Intercontinental Thalasso resort. 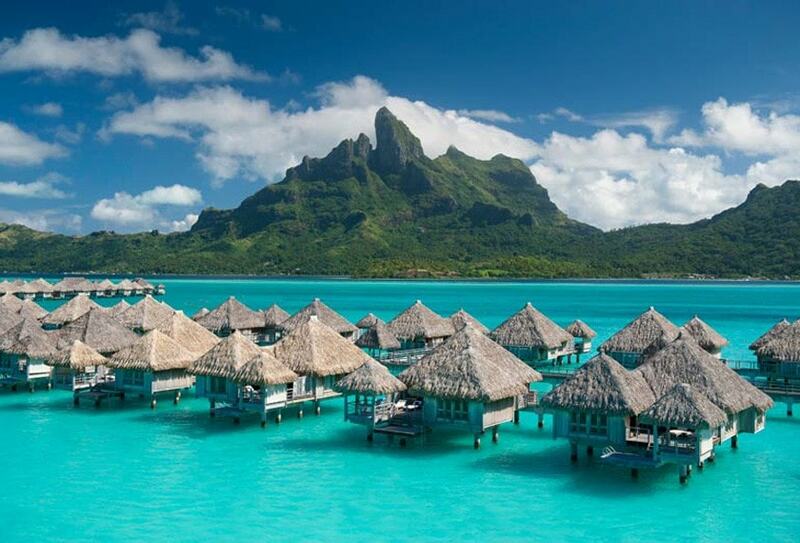 Do not Miss This Rare Bora Bora vacation. 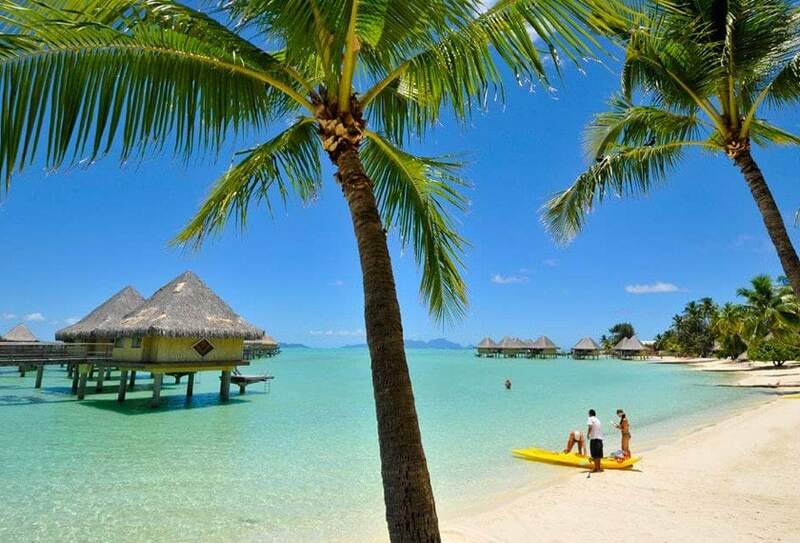 The luxury Le Meridien Bora Bora Resort is a great place to relax and unwind. 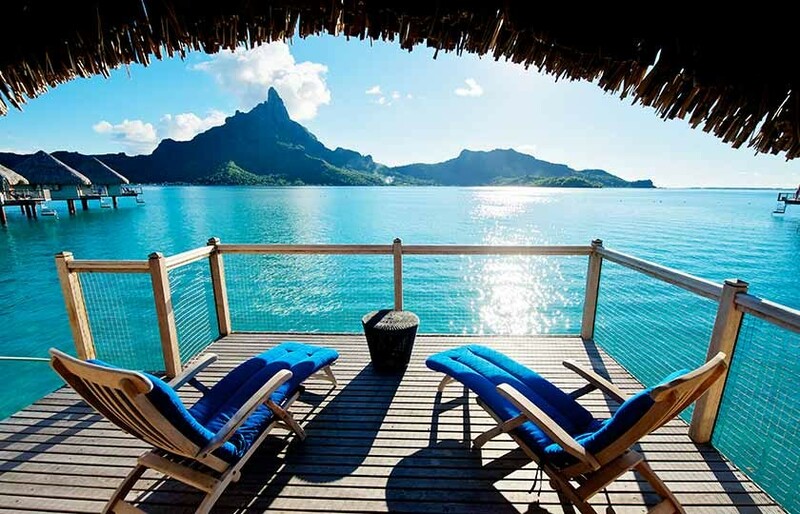 A luxury honeymoon escape to the St. Regis Resort in Bora Bora Overwater Villa year. A lush 44 acre private island retreat ... a world Unlike Any Other. Ultimate Bora Bora Honeymoon at Intercontinental Bora Bora Resort & Thalasso Spa . Enjoy resort's pristine beaches, award-winning spa, 2 restaurants, infinity pool, fitness center, tennis court and other sports facilities. 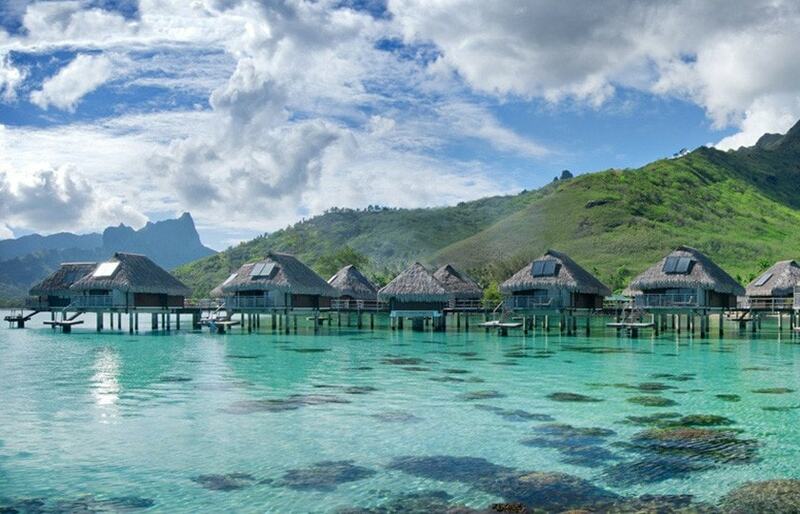 Explore Moorea and Bora Bora with this luxury honeymoon package combining Interconntinental resorts in Moorea and Bora Bora. 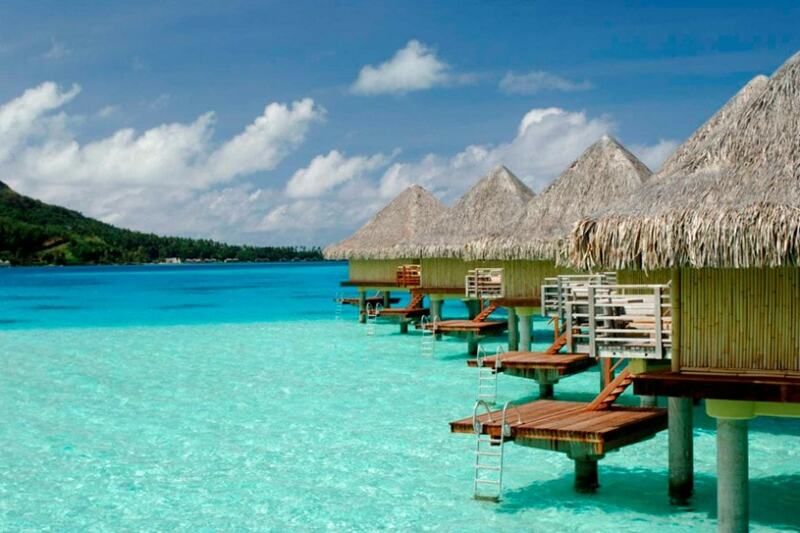 Experience the ultimate indulgence at the newly remodeled and rebranded Conrad Resort Bora Bora . 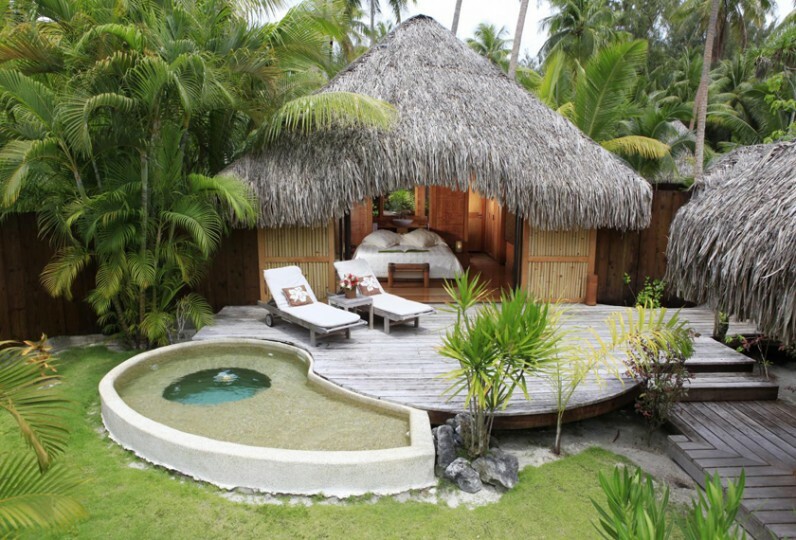 Spend unforgettable 5 nights in an Overwater Villa with Pool.